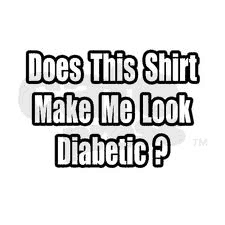 Does this shirt make me look diabetic? One of the common misunderstandings about diabetes is that Type 2 is for people who are slow and overweight and sit on the couch eating cheetoes all day long. And while those are risk factors—the inactivity and overeating, not necessarily the fake cheese—they are not absolutes. Skinny people get Type 2. In fact, I am a prime case. I was at my lowest weight in 5 years. I was 30 years old and in those 30 years, only 2 of them were at an unhealthy weight. I had already lost around 35 lbs and had been active my whole life. Very active all the way through college. On the day I was diagnosed, I was wearing size 8 clothes and had run 5 miles the day before. I did not look like the “typical” Type 2. After I was diagnosed, I immediately went to the lowest carb diet ever known to man. I should market it. It’s called Too Scared to Eat a Biscuit….how to drop weight fast in between finger pricks and dizziness from slow blood loss. And while this might not make it on Amazon, it did help me lose the last 30lbs over the Thanksgiving and Christmas holidays. It is possible that I’m one of those people who have another form, Type 1.5. (This has not been officially divided into its own category by The Expert Committee on the Diagnosis and Classification of Diabetes Mellitus. It is under the diagnosis of Type 1.) Type 1.5 is also known as adult-onset Type 1 or LADA-Latent Autoimmune Diabetes of Adults. Basically, these are people who are often misdiagnosed as Type 2 because they made it to adulthood before being diagnosed. Only through genetic testing can this diagnosis be confirmed. The outcome is the same as Type 2. Once the pancreas can no longer maintain adequate insulin in the body to keep sugar levels in the normal range, then medication and injections will manually control the body. 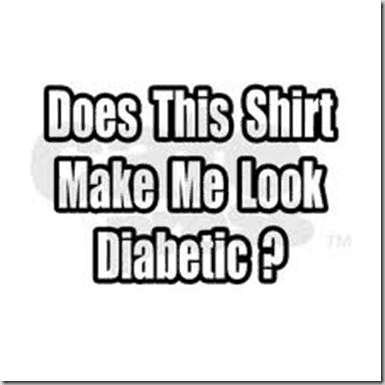 Type 1 is usually found in children and called Juvenile Diabetes. Type 1 diabetes is when the body’s own immune system attacks the Beta cells in the pancreas, destroying them or damaging them. They cannot produce enough insulin. The reduced amount of insulin is unable to process the glucose in the blood, leading to high blood glucose levels. Remember the Pizza Guy analogy? Type 1 is very different. In Type 1, the Pizza Pancreas has been vandalized so bad, it can’t send out ANY Pizza guys. The only way to treat this is by some starship trooper dropping little pizza guys out the sky. Manufactured insulin in the form of injections or an insulin pump. With Type 1, diagnosis is usually when the body is very sick. There are some signs, but they are easily explained away until the severity and the quantity of symptoms overwhelm the body of young children. So, easy version of Type 1– Juvenile Diabetes. The body attacks its own pancreas and it stops producing insulin (pizza guy) so the glucose levels are way too high. Injections of insulin control the glucose. At time of diagnosis, immediate dependence on injections is necessary. There is no option to make lifestyle changes. Easy version of LADA– late adult onset of Type 1. Treated the same as with Type 2. Individuals keep track of their glucose numbers and make lifestyle changes to keep glucose levels down. Depending on severity, the pancreas may still send out insulin, but in erratic doses. Eventually, the pancreas gives up and the individual will become fully dependent on insulin injections. 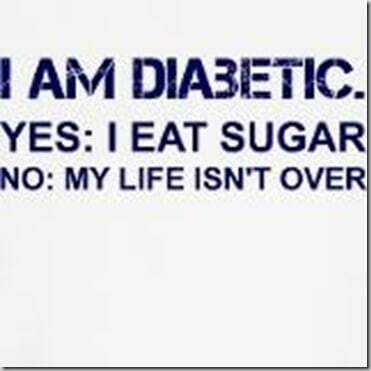 So, no matter which type of diabetes I have, this is true for all types. Previous Post: « NWS Town Hall Meeting. My dad was diagnosed with Type 2 when he was about 50 or 55. He was not really overweight. Maybe like 10 pounds if that, but not extremely so by any means. I think there are a lot of people like me and your dad. I know the research and stats say most type 2 are overweight and unfit, but I think there is a growing population of type 2s that do not have those risk factors. 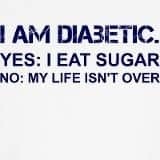 My husband is also an atypical diabetic. Diagnosed at the age of 53 he has a very physically demanding job and seemed in great shape. For the past year we have controlled his blood sugar by eating a very low-carb, high-nutrient diet (lots of veggies, good fats and proteins) combined with the minimum dose of metformin and both of us have lost weight without trying. He is now described as a bean=pole but is not too thin. I would love to add in a few more carbs but pretty much any starch or sugar triggers a glucose spike. I’ve often wondered if he is a type 1.5 .